MK Nava Boker says Israel must use the death penalty in order to eradicate terror and ensure country's continued existence. 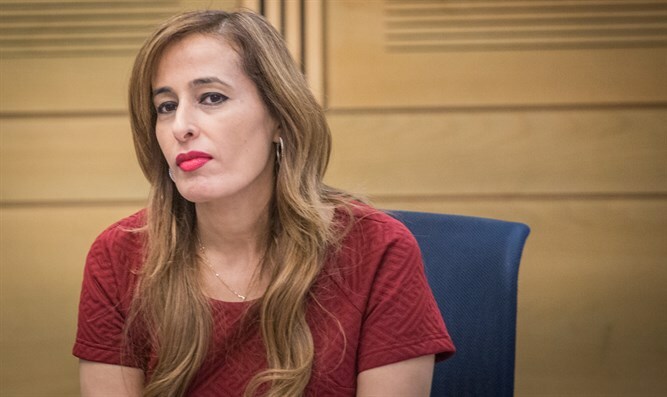 Deputy Knesset Chair MK Nava Boker (Likud) proposed a bill which would allow Israeli courts to sentence to death "those who acted as emissaries of our enemies and terror organizations, killing...the innocent." According to Boker, the terrorists who murdered five members of the Fogel family in 2011 are now living in a four-star Israeli prison cell. "The recent events on the Temple Mount and in Neve Tzuf (Halamish), in which Israelis were slaughtered simply because they were Israelis, obligates us to implement severe punishments, such as handing terrorists a death penalty," Boker said on Wednesday morning. "I have no doubt that the death penalty, together with other methods, will provide real deterrence and help us eradicate terror in Israel. "It's time to put an end to our obsequiousness towards terror and our enemies. It's important that the terrorist's family - the family which sent its son to murder - should know that he will receive the worst punishment, and that he will not spend years in the four-star hotel called an Israeli jail and be released home in the next deal, to murder more innocent civilians. "The State of Israel's existence is at stake. We need to take all steps necessary in order to remove the threat." On June 14, two Druze policemen were murdered on the Temple Mount by three Muslim terrorists. One week later, three members of the Salomon family were slaughtered by a Muslim terrorist while eating dinner in their home. Israel has a law on the books permitting execution in some extreme cases, but has not implemented the death penalty since the execution of Adolf Eichmann in 1962 for his role in the Holocaust.